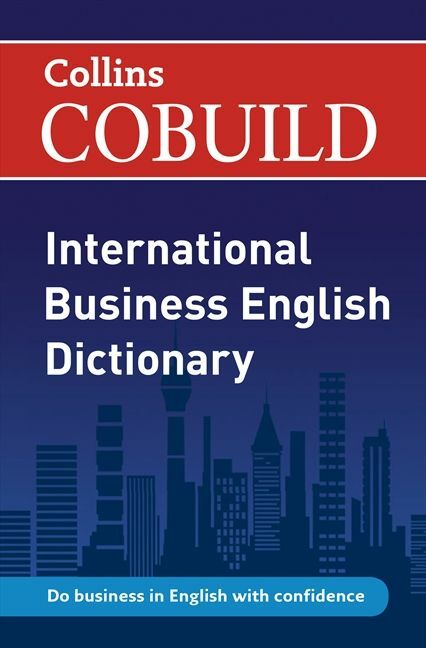 Collins COBUILD International Business English Dictionary is the ideal reference for anybody who uses English for business. It contains all the words and phrases you need to succeed in today’s business word and to communicate with confidence in every situation. Collins COBUILD International Business English Dictionary contains up-to-date information on all the words and phrases used in international business, in both American and British English. As well as key business terms, the dictionary also contains a number of general English terms, which will help you to communicate in all situations, whether in a business meeting or socializing with colleagues. More than just a dictionary, this helpful language tool also includes tips on some of the cultural pitfalls to watch out for when doing business overseas. Language boxes throughout the dictionary provide extra help with building natural-sounding sentences in English. In addition, there is a supplement on useful phrases for business, plus an explanation of the most common business euphemisms and what they really mean. The title also includes a guide to writing for business, to help you to communicate successfully in a range of business situations. The dictionary is practical and easy to understand, with simple definitions and corpus examples of real English taken from the Collins Business Corpus. Its size makes it portable, and the clear, accessible colour layout makes it easy to find the information you are looking for quickly.